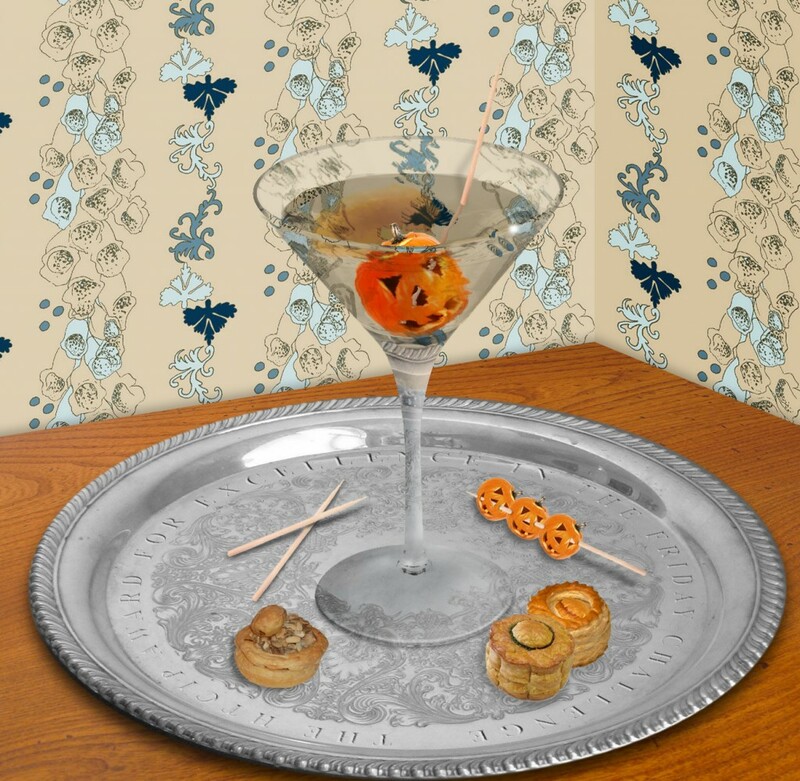 It was Halloween and could I pour a martini? No olive but could we have a pumpkin instead? Don’t you just love that wall paper?